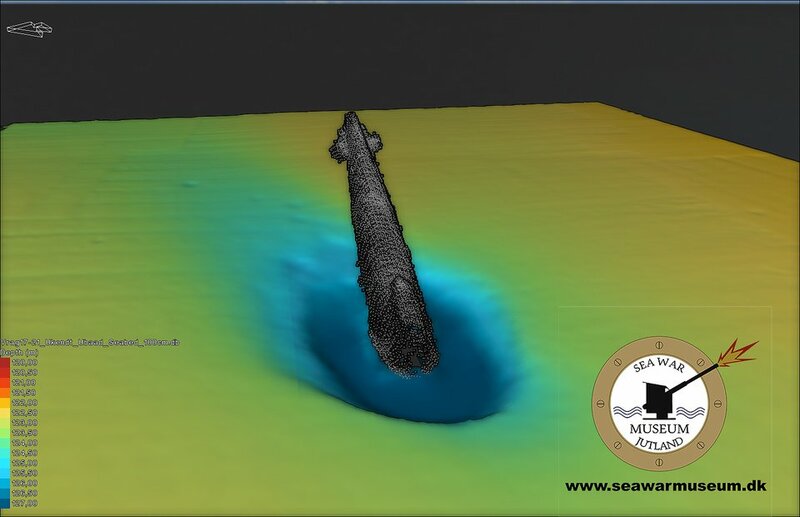 The Wreck of the HMS Narwhal a British Grampus-class mine-laying submarine of the Royal Navy was discovered in 2017 by chance by Polish divers. 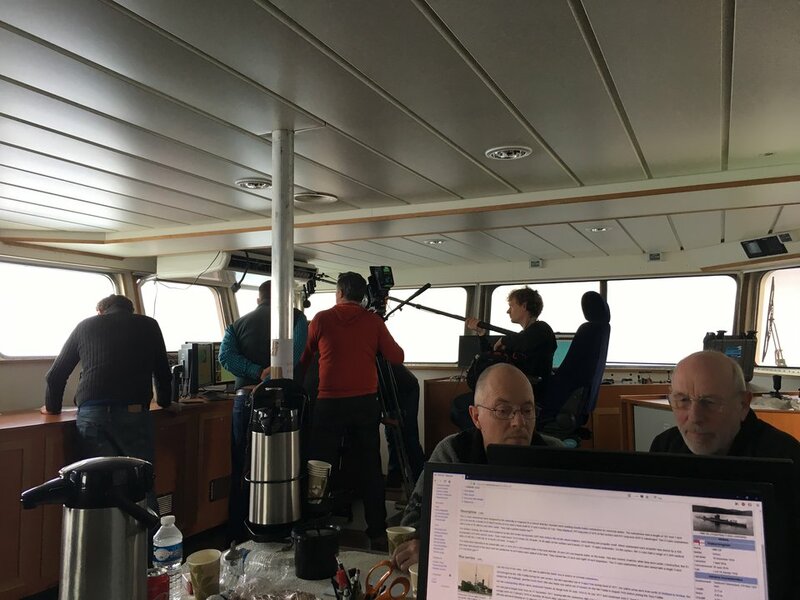 Last week The Sea War Museum Jutland on board the JD-Contractor survey vessel Vina made another survey of the wreck as well as some ROV footage to determine that the wreck is in fact the HMS Narwhal. 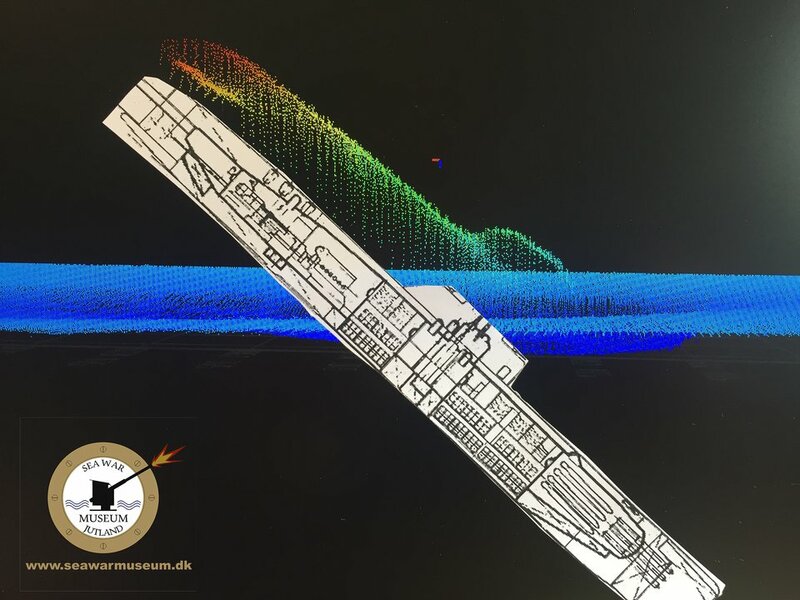 Our team found the submarine wreck intact at 94 metres of seawater except for a large hole in front of the tower where the submarine had been hit by the Luftwaffe in July 1940. The ROV footage in this video shows the Torpedo tubes three on each side, the bow chains, the bow planes on each side, a set of cogwheels inside where the top and sides are missing due to the blast from the air bomb as well as deterioration after 79 years at the bottom of the North Sea and finally the two periscopes connected with a beam. Our team of Danish experts and scientists where accompanied by Tomasz Stachura from SANTI in Poland. 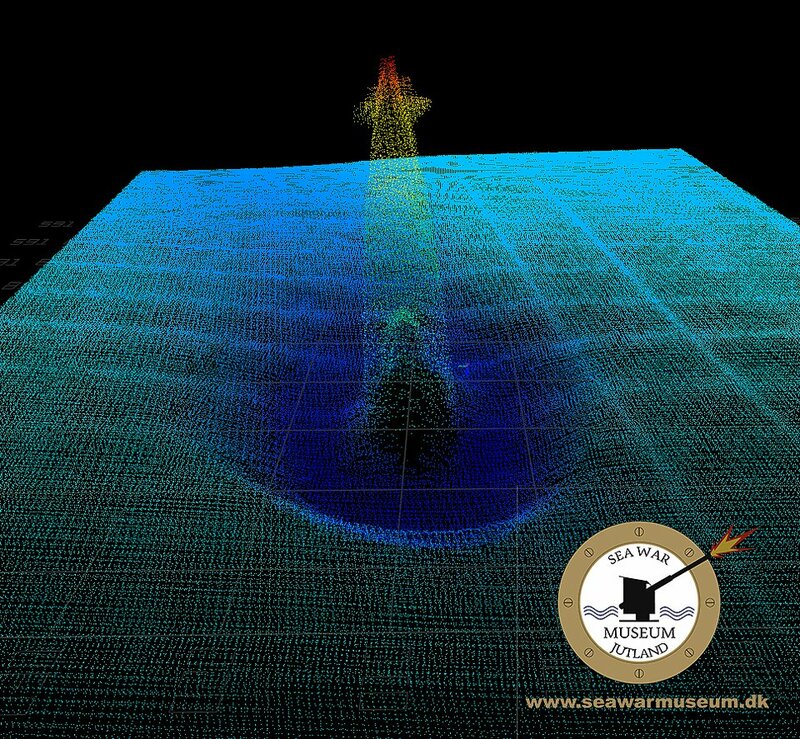 The Sea War Museum Jutland in Thyborøn has, on an expedition in Skagerrak found the wreck of the German troop ship M / S Pionier, which was sunk on 2 September 1940. The ship was on its way from Frederikshavn in Denmark to Frederiksstad in Norway with 823 men and women on board including the crew, when North of Skagen it was hit by a violent explosion and quickly began to sink. 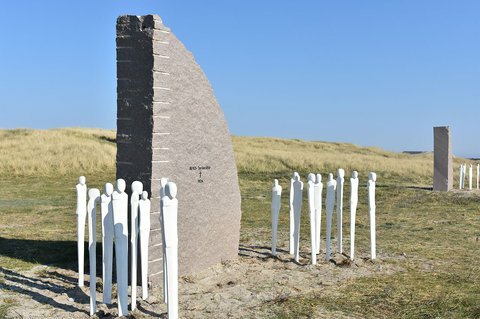 The disaster cost 338 German lives and was the most serious loss suffered by the German forces in Denmark during the five-year long occupation. According to British information, it was a torpedo from the submarine HMS Sturgeon that sent Pioneer to the bottom of the sea, but at the time it was persistently denied by German propaganda. It argued that the ship hit a mine, became victim of sabotage or suffered a boiler explosion. The latter was actually unlikely, as Pionier was a motor ship with a large six-cylinder diesel engine. After the war, the shipwreck has caused much conjecture, and the wreck of Pionier has long been one of the most sought after in Danish Waters. However, Danish and foreign divers have always searched in the wrong places. The Sea War Museum Jutland found Pionier 15 nautical miles from Skagen at the position 057° 58.368' N, 010° 51.551' E, which is considerably further east than previously assumed. The wreck lies at 177 meters of water, making it very difficult to access. "Our scanning of the wreck supports the British reports. The aft part of the ship is missing, and everything indicates that the ship was torn apart by a torpedo. The aft part sank in all probability immediately, while the forward part drifted further east, before it sank. 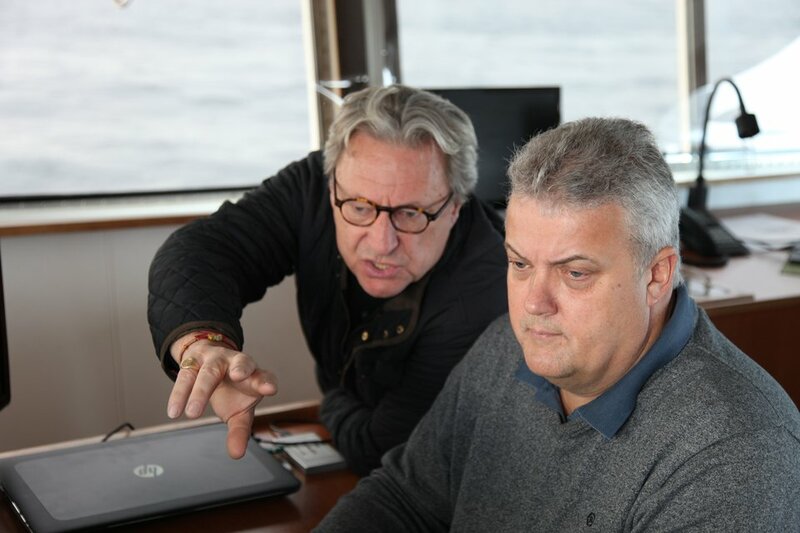 We did find the wreck in international waters, but so far east, that it is lying in the Swedish Exclusive Economic Zone," says Gert Normann Andersen, director of Sea War Museum Jutland. M / S Pionier was a modern motor ship of 3285 gross tons, built as a refrigerated ship for the F. Laeisz shipping company in Hamburg in 1933. The first years it sailed bananas from Cameroon to Europe, but in 1940 it was seized by the German Kriegsmarine and put in service as a troop transport ship between Denmark and Norway. On her last voyage, Pionier carried a mixed crowd of naval officers, air crew and nurses as well as a large contingent of German Gebirgsjägers (Light Mountain Infantry), who were on their way back from leave. The wind was force 7 to 8 with high seas, and as a fire broke out immediately after the explosion, heartbreaking scenes took place. The ship quickly developed a list to port and the aft part sank, but due to the fire and large amounts of oil on the sea surface, accompanying and approaching ships could not get close. They had to resign with saving survivors from the water and from life rafts. All the rescued were brought to Skagen and Frederikshavn, but 93 were never found. On 6 September 1940, 245 Germans were buried at Frederikshavn Cemetery in the war's largest mass grave in Denmark. Some of the missing had probably gone down with the wreck, which therefore must be considered a war grave. HMS Sturgeon participated later in the pursuit of the Bismarck, and from 11 October 1943 to 14 September 1945, she was lent to the Dutch navy, where she served under the name "Zeehond". from left: Dr. Rory Quinn Ulster University, director Gert Normann Andersen Sea War Museum and Dr. David Gregory Danish National Museum. What happens to North Sea shipwrecks? 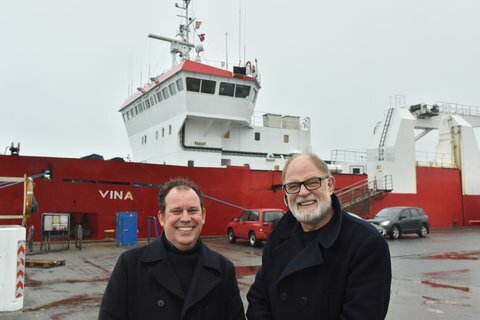 Dr. Rory Quinn and Dr. David Gregory visited Sea War Museum in connection with their ongoing collaboration investigating the deterioration of shipwrecks in the north sea. Rory is a marine geoscientist at Ulster University where he is a specialist in multibeam survey of shipwrecks. David is senior scientist at the National Museum of Denmark and specialises in the deterioration of archaeological materials underwater. Rory is helping interpret the multi beam data from the 450 shipwrecks sites surveyed by the museum and JD Contractors and generating and anlaysing these data in a GIS (Geographical Information System). 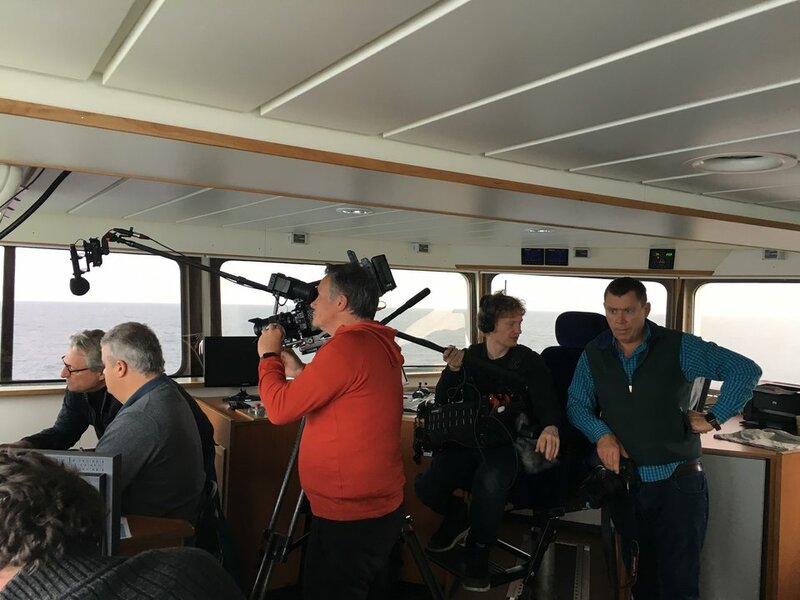 The two year project, funded with support from the Danish Ministry of Culture, started in October 2017 and aims to correlate the current state of the shipwrecks with various physical and chemical parameters so as to model what factors control their preservation and deterioration. 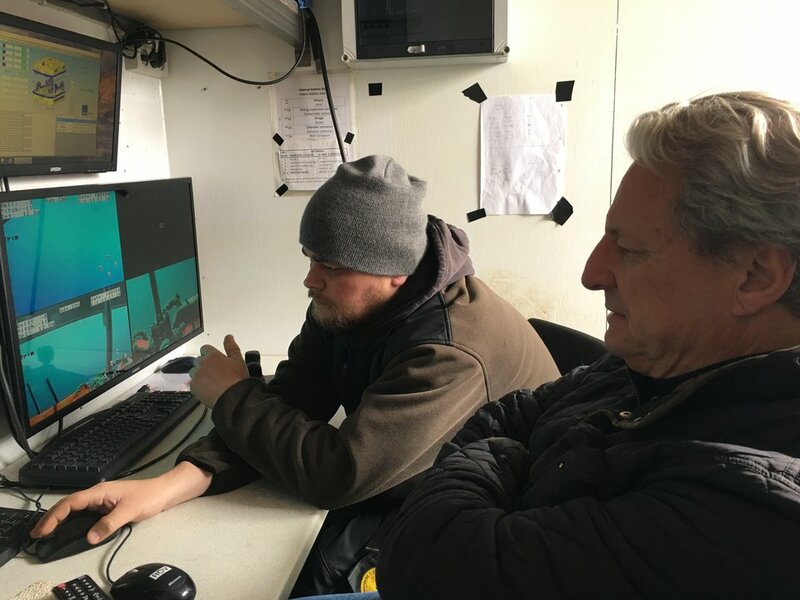 Presently the shipwrecks are being classified according to the surviving remains based on the multibeam surveys and these data are being added to the GIS project. 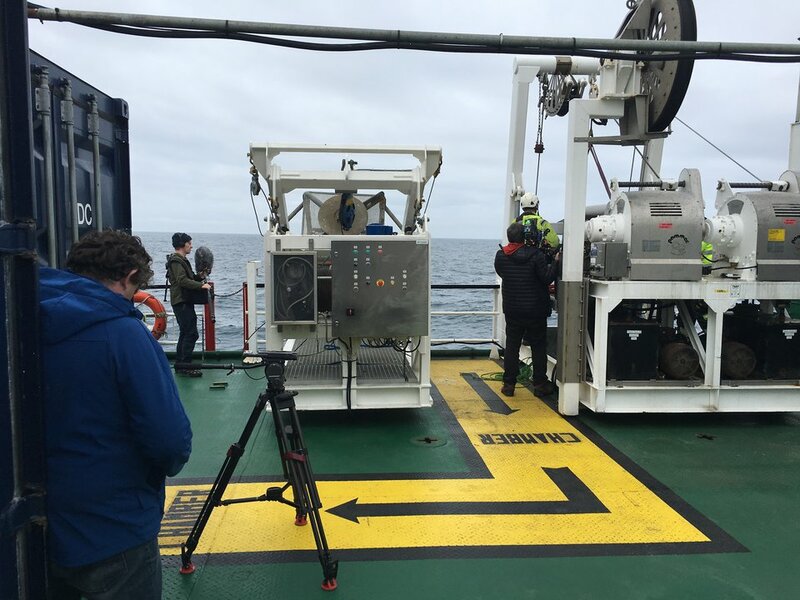 In the coming months statistical models of how the harsh north sea environment has and is affecting the wrecks will be developed so that they can be more effectively managed in the future. In the Autumn David and Gert will be looking into how human activities, such as fishing and salvage, also impact these sites. 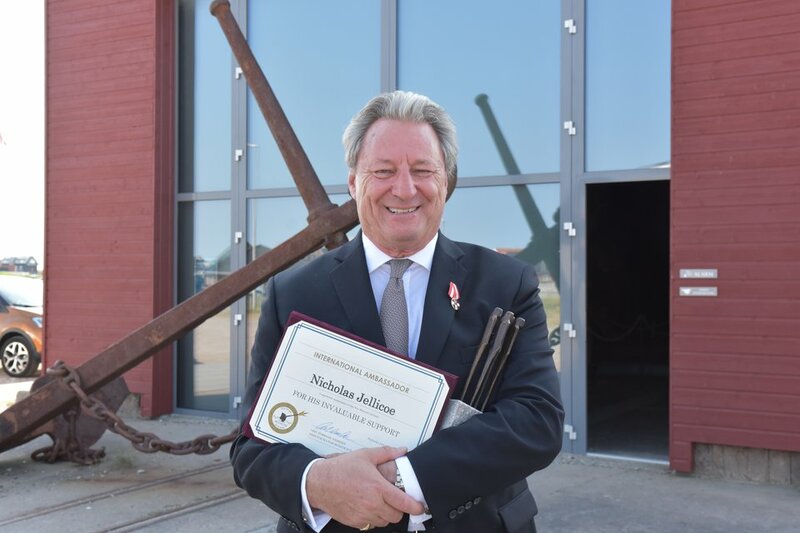 Nicholas Jellicoe, grandson of Admiral John Jellicoe, is appointed international ambassador of Sea War Museum Jutland in Thyborøn. Sea War Museum Jutland has from the very first day had an excellent cooperation with the British writer and historian Nicholas Jellicoe, the grandson of the British commander-in-chief at the Battle of Jutland, Admiral John Jellicoe. 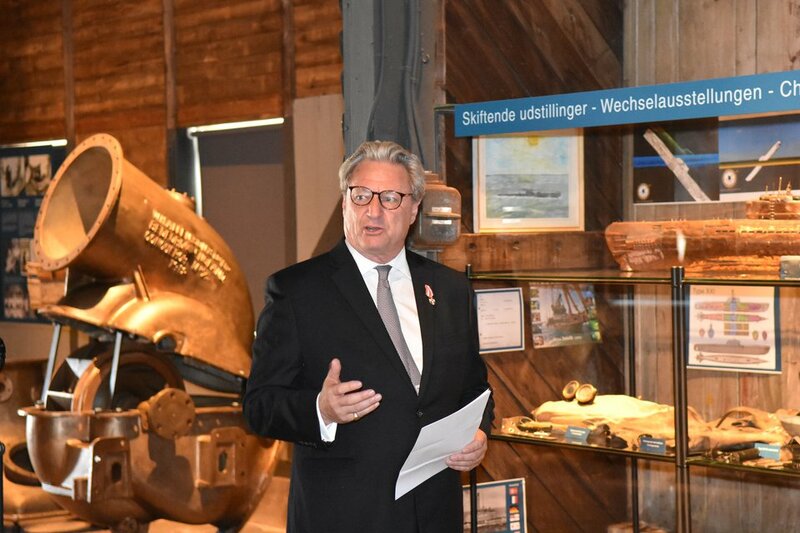 Today, the cooperation was officially translated into nomination of Nicholas Jellicoe as international ambassador of Sea War Museum Jutland. Nick Jellicoe grew up in the UK and studied politics at York University and at "L’Institut des Études Politiques" in Paris, but was later lured into advertising. He has worked with some great companies - Rolex, Bvlgari and American Express - to name a few. In 2015 he left Rolex in order to concentrate on a lifelong passion for history and has since then written a book about the Battle of Jutland, "The Unfinished Battle". The book was followed by an extensive website www.jutland1916.com filled with stories of people and ships from the battle. Recently, he has prepared a paperback edition of the book and is already working on new projects. Nick Jellicoe has participated in a number of Sea War Museum Jutland’s expeditions in the North Sea. 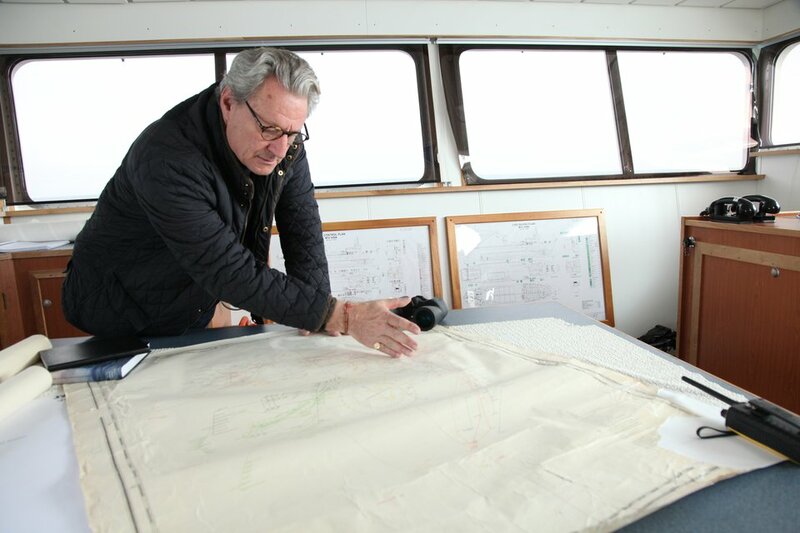 He took part in the finding of the last ships from the Battle of Jutland, and he also participated in the fourteen-day long expedition to Scapa Flow last year, where his many connections open many doors for the museum. Together with Reinhard Scheer-Hennings, the great grandson of the German commander-in-chief in the Battle of Jutland, Reinhard Scheer, Nick Jellicoe was an honoured guest at the inauguration of the Memorial Park for the Battle of Jutland in 2016. This year he attends for the third time at the commemoration of the battle. 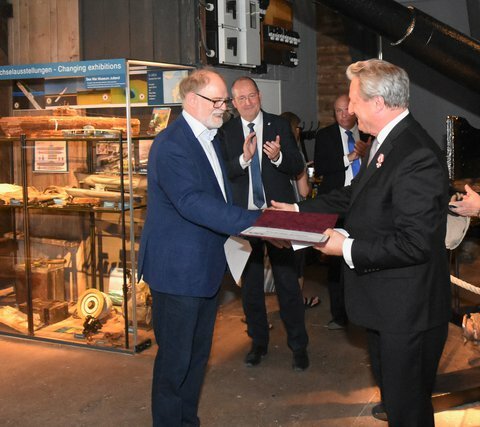 Today on 1 June 2018, director Gert Normann appointed Nick Jellicoe as international ambassador of the Sea War Museum Jutland at an event at the museum. 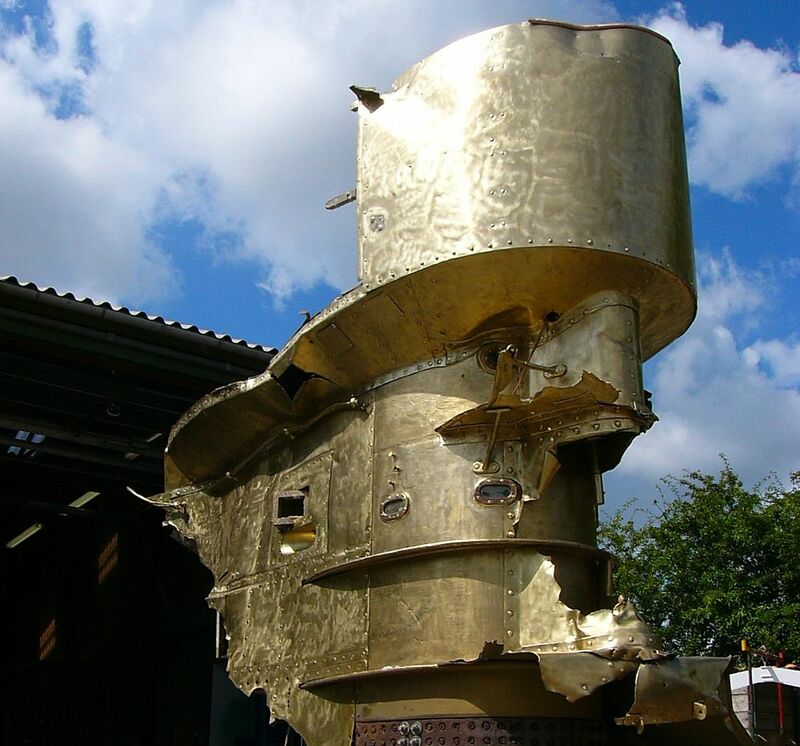 Sea War Museum Jutland in Thyborøn, Denmark has made a new sensational discovery during its continued registration of shipwrecks in the North Sea and in the Skagerrak. 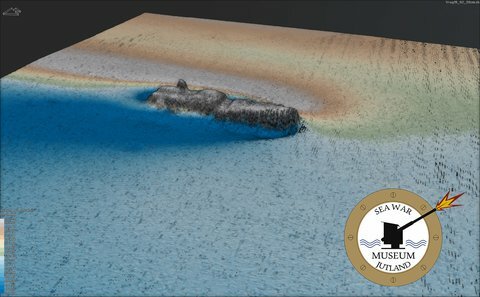 In April 2018, the museum has found the wreck of the German U-boat U-3523, which was sunk by depth bombs in Skagerrak by a British B24 Liberator aircraft on 6 May, 1945. The day before, the German forces in Denmark, Northwest Germany and the Netherlands had surrendered, and the U-boat was not on a war patrol, but probably on the run. The U-3523 was of the new and highly advanced type XXI U-boats that could have revolutionized the submarine war if enough boats had been completed in due time. 118 boats were laid down, but only two entered active service, and none ever saw battle. After the war, there were many rumors about top Nazis who fled in U-boats and brought Nazi gold to safety, and the U-3523 fed the rumors. The Type XXI was the first genuine submarine that could sail submerged for a prolonged time, and the U-3523 had a range that would have allowed it to sail non-stop all the way to South America. But nobody knows, if this was the U-boat’s destination, and nobody knows, if the U-boat had valuables or passengers aboard in addition to the 58 crew, all of whom perished. 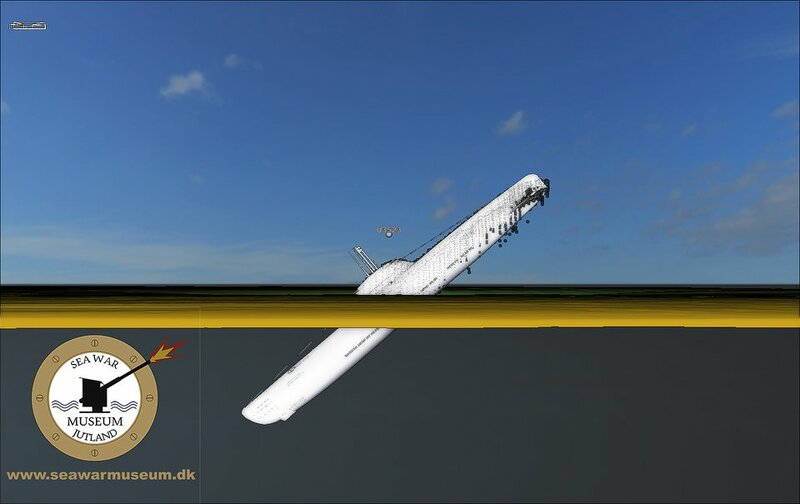 U-3523 appeared on the screen during the museum's scan of the seabed ten nautical miles north of Skagen, and the picture was very surprising. Most unusual the whole fore part of the U-boat lies buried in the seabed, while the stern is standing 20 meters above the bottom. The wreck lies at 123 meters of water, making it very difficult to access. So far, it has been thought that the U-3523 was sunk in the waters northeast of Skagen, but the old position was heavily flawed. The U-3523 lies in fact about 9 nautical miles west of the position, which was reported by the British bomber at the time. Sea War Museum Jutland in Thyborøn has so far found, registered and measured about 450 wrecks in the North Sea and in the Skagerrak. The museum has until now found the wrecks of 12 submarines, 3 of which are British and 9 are German. After WW2 Britain, the United States, France and the Soviet Union took over a number of German Type XXI U-boats and used them for a number of years in order to profit from the German technology. In the Soviet Union, the submarine became known as the Whiskey class and was used in active service all the way up to the eighties. Today, there is only one preserved Type XXI U-boat. It lies as a museum boat in the harbour in front of the German Maritime Museum in Bremerhaven. Drain the Oceans will be appearing on the National Geographic Channel later in 2018. Sea War Museum Jutland marks the Armistice Day by introducing a new type of lists in the museum's exhibition. At each history told in the museum, a small booklet with the names of the perished from each ship will be at the visitors’ disposal. 11 November is commemorated in many countries to remember the many millions of dead and wounded of World War I. On November 11, 1918, the Armistice was signed with a promise of early peace talks. The hostilities ended at the 11th hour on the 11th day in the 11th month. A photo from Sea War Museum Jutland’s entrance with our main message. Senior researcher David Gregory of the Danish National Museum's Conservation and Science Department has in collaboration with Sea War Museum Jutland in Thyborøn launched an extensive research project, which might have a decisive influence on the future conservation of the cultural heritage in the North Sea and other vulnerable waters. 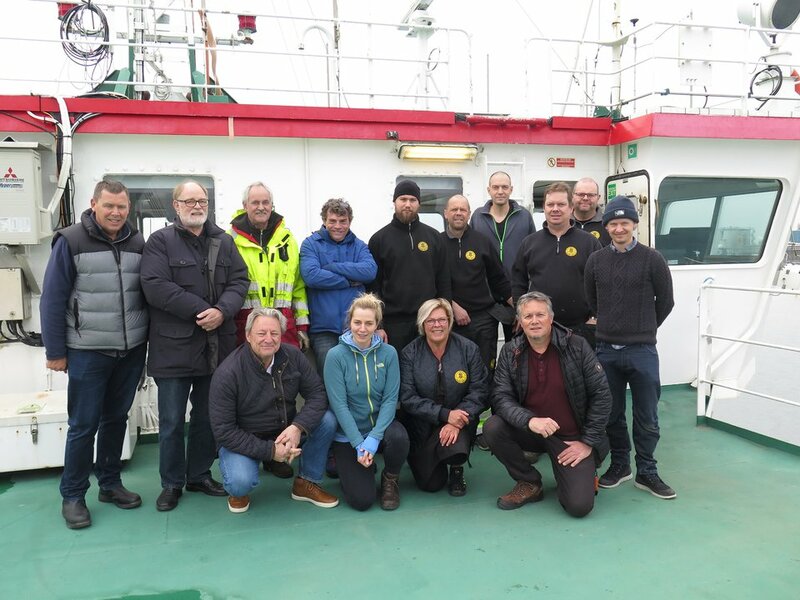 In cooperation with the museum in Thyborøn and Dr. Rory Quinn of Ulster University he is going to investigate how fast shipwrecks deteriorate in the North Sea. 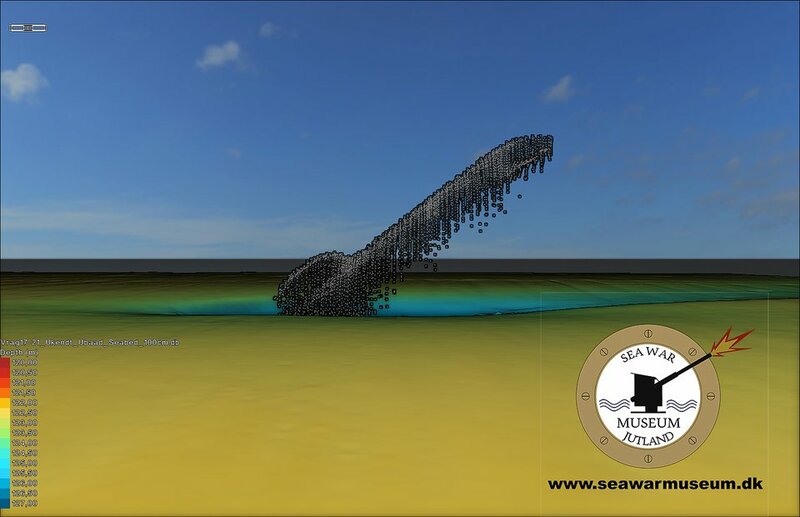 For decades, it has been regarded as a sound policy to protect historically valuable shipwrecks in situ, i. e. on the seabed, and prohibit all intervention from the view that they thus will be available to future generations. Experience from the Baltic Sea and other protected areas have supported this position, but in the North Sea, the situation is quite different. "Our latest studies show that a wreck in the North Sea in a worst cases scenario can deteriorate and disappear in just 30 years. Everything indicates that there is an urgent need for a more nuanced view than hitherto. In the future it will be necessary to take the conditions on the spot in consideration," David Gregory says. 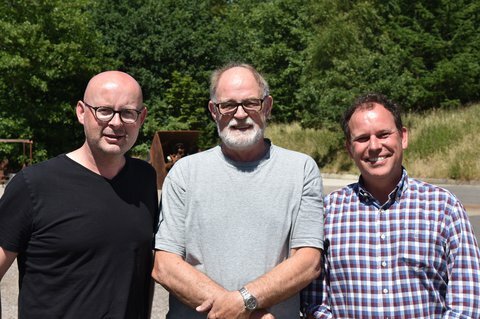 He has received DKK 763,000 (102.500 €) from the Research Committee of the Ministry of Culture for his new project, and through affiliation to Sea War Museum Jutland, he has gained access to the largest database over wrecks in the North Sea. It has been created by the founder and director of the Sea War Museum, Gert Normann Andersen, who himself has dived on many of the wrecks. 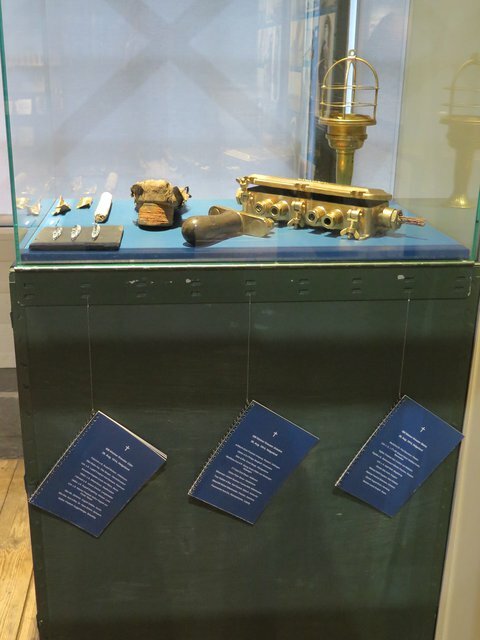 the museum is dedicated to telling the dramatic stories of Maritime Warfare in the North Sea during the First World War. 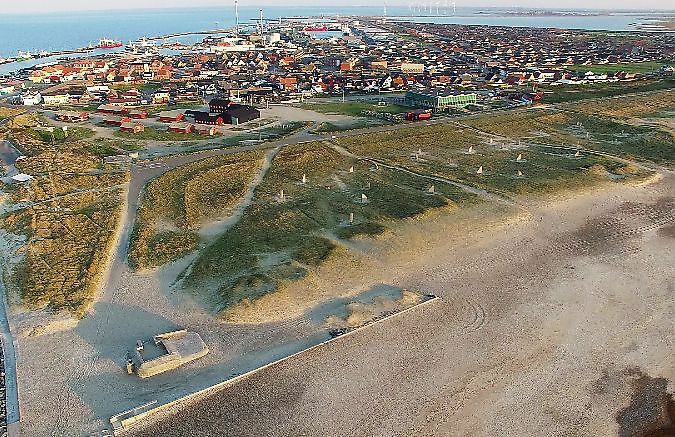 Memorial Park for the Battle of Jutland is to be established in Thyborøn, to honour the 8645 British and German mariners, who lost their lives in the battle on May 31st and June 1st 1916.